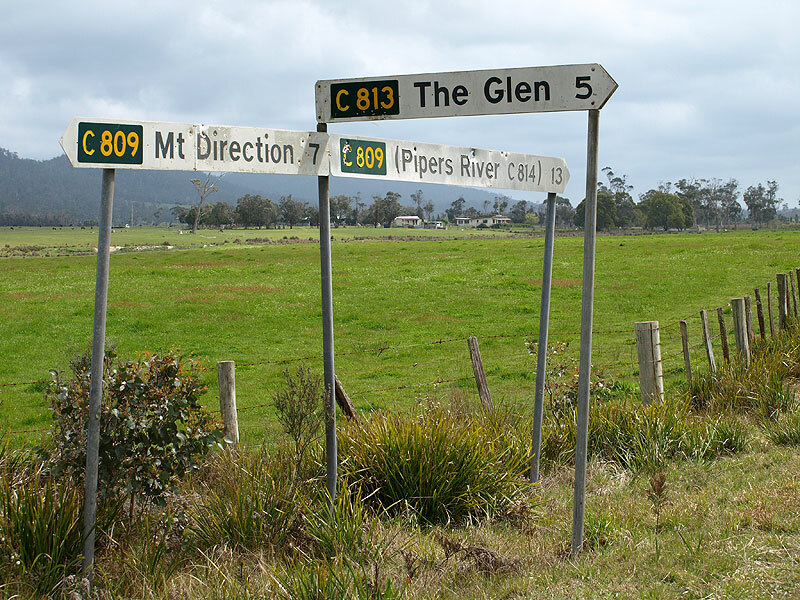 C813 fingerboard sign at the intersection of Pipers River Secondary Rd (B83) & The Glen Rd (C813), 12km south of Pipers River. Source: Peter Renshaw, June 2007. 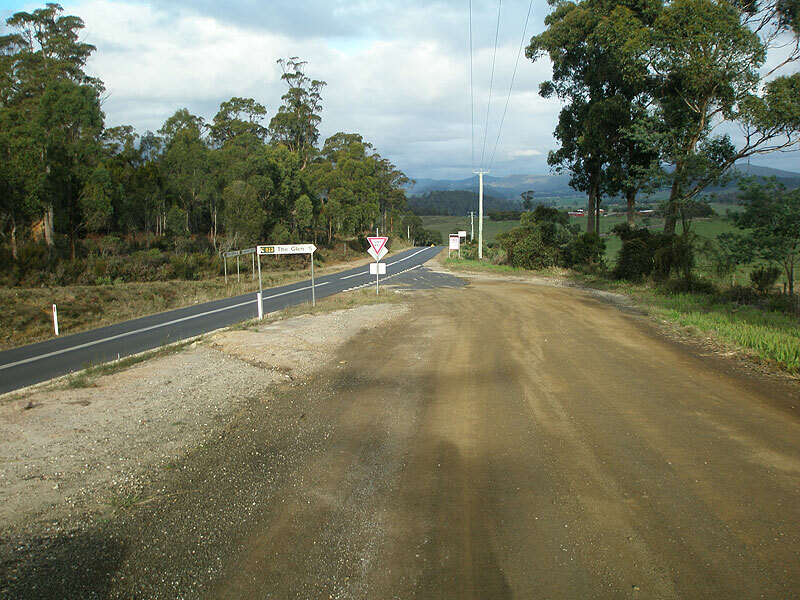 C813 is a mostly unsealed east-west route in northern Tasmania, linking Dalrymple Rd (C809) with the Pipers River Secondary Road (B83) via the farming locality of The Glen. 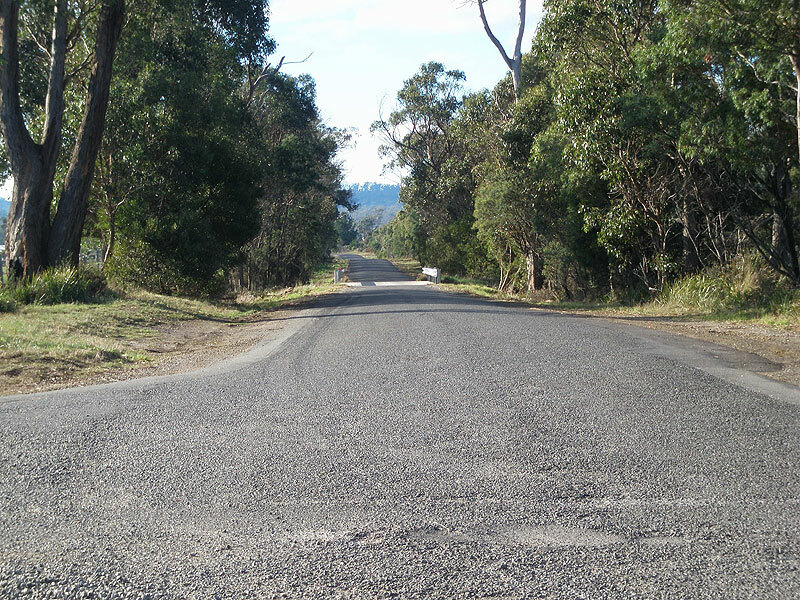 The eastern part of the route is unsealed and hilly as it ascends from the Pipers River valley over the Den Range, whilst the flat and straight western end has been recently sealed as part of the Federal Government's Roads to Recovery programme. 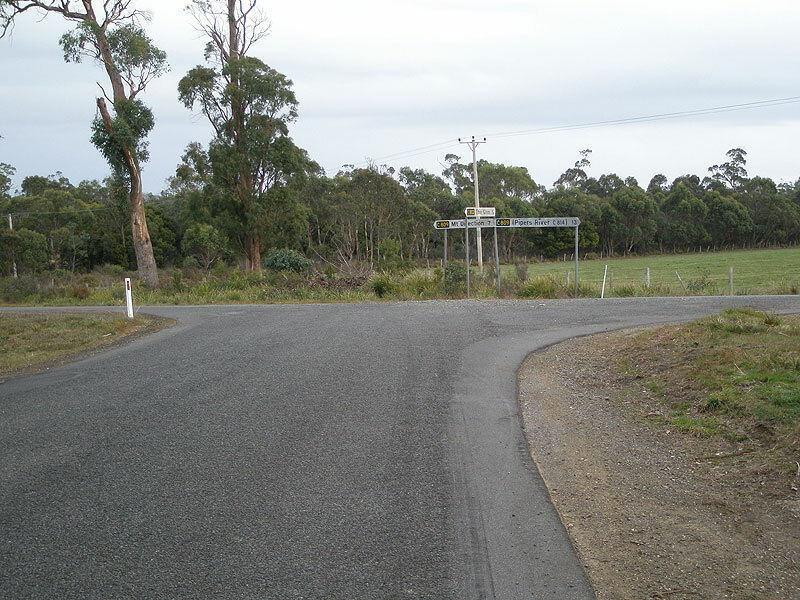 Fingerboard signs at the intersection of Dalrymple Rd (C809) & The Glen Rd (C813), 7km north of Mt Direction. Source: Peter Renshaw, October 2007. 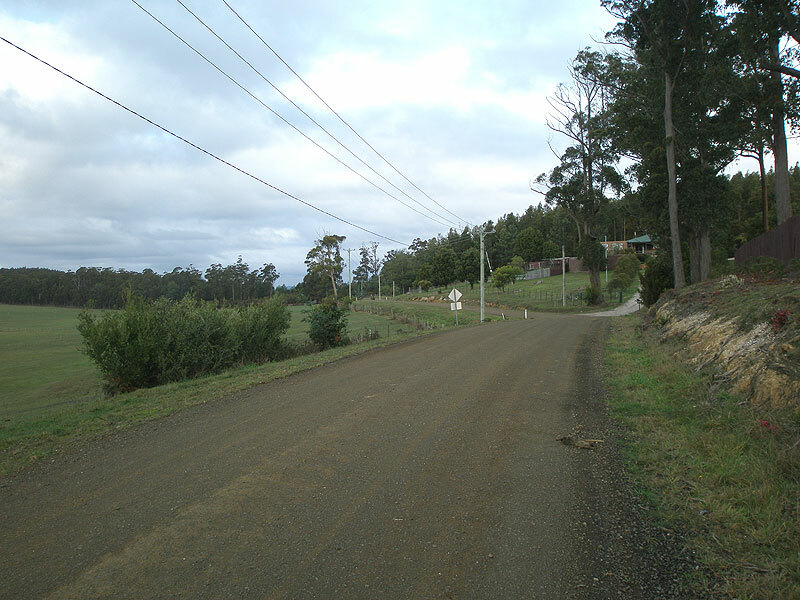 The Glen Rd (C813) looking west to the intersection with Dalrymple Rd (C809), 5km west of The Glen. 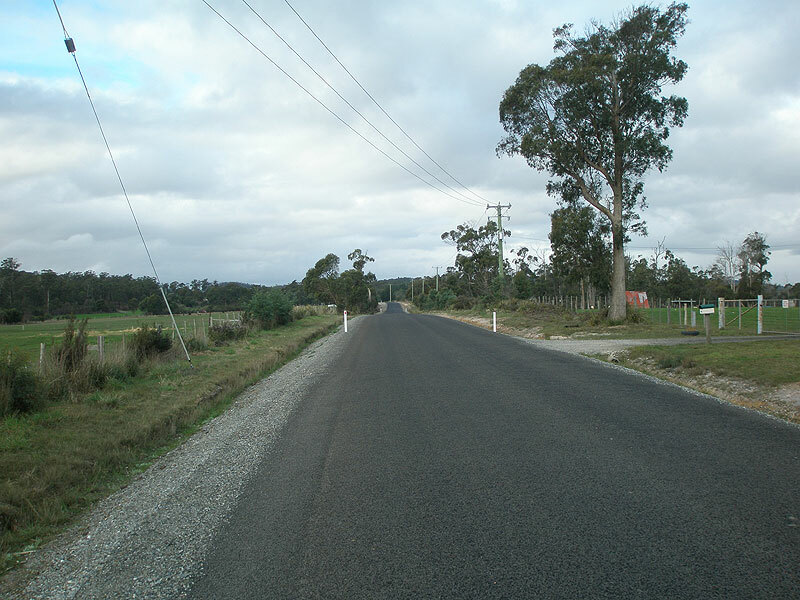 The Glen Rd (C813) looking east from the intersection with Dalrymple Rd (C809). 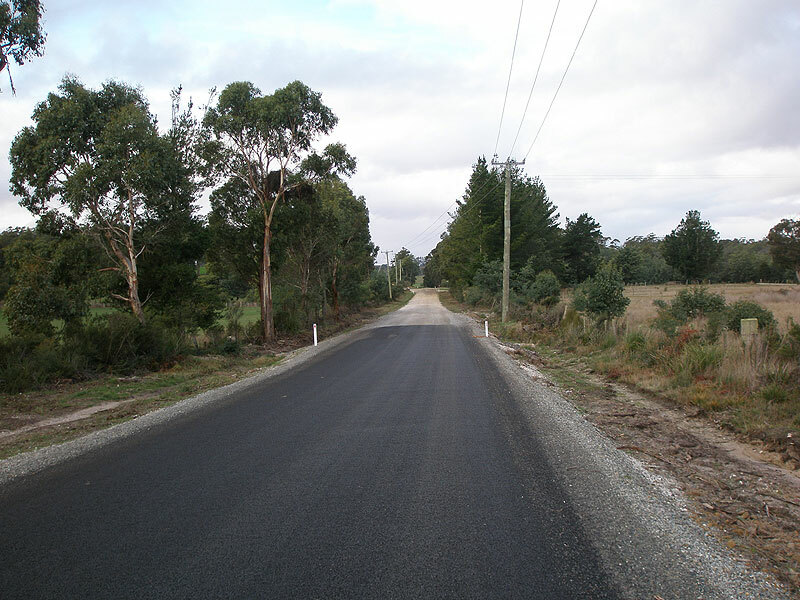 The Glen Rd (C813) looking east approximately 2km from Dalrymple Rd, showing recently sealed surface courtesy of the Federal Government's Roads to Recovery programme. 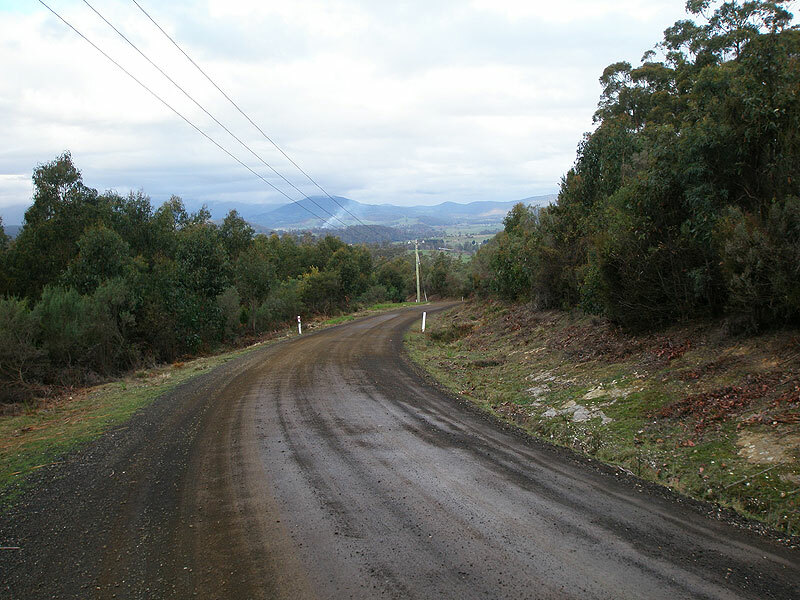 The Glen Rd (C813) looking east at the end of the sealed surface, 3km east of Dalrymple Rd. Except for a few short sections, the remainder of the route is unsealed. The Glen Rd (C813) looking east to an s-bend and short sealed section near Den Road. 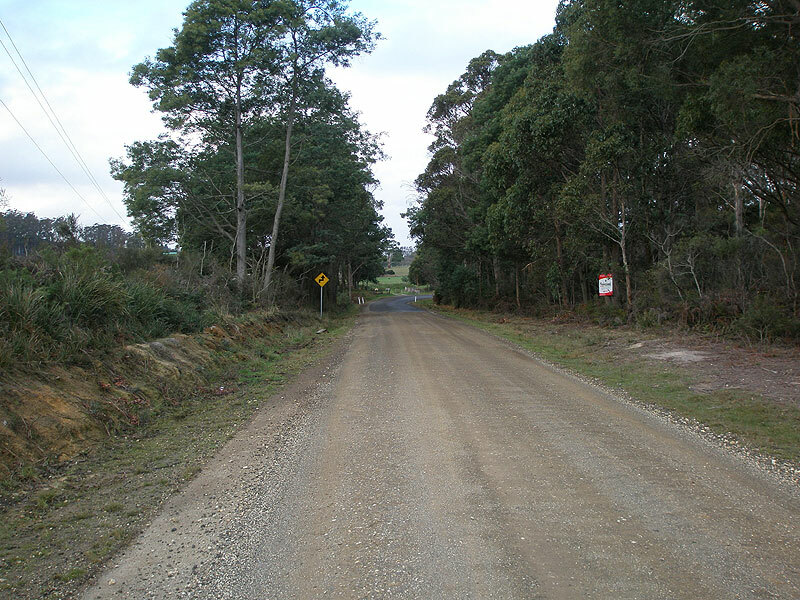 The Glen Rd (C813) looking east approximately 3km west of Pipers River Secondary Rd (B83). The Glen Rd (C813) looking east at the top of the Den Range, descending into the Pipers River valley, about 2km west of B83. 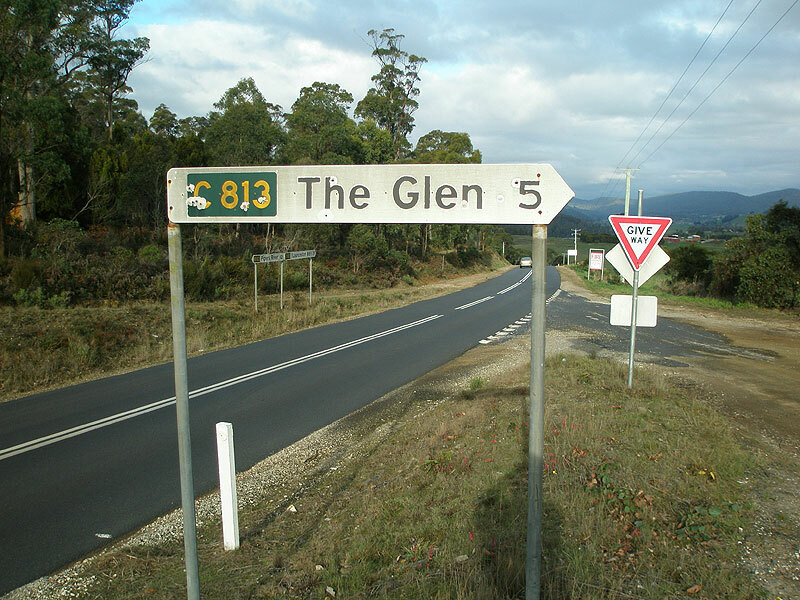 The Glen Rd (C813) eastbound approaching the junction with Pipers River Secondary Rd (B83). 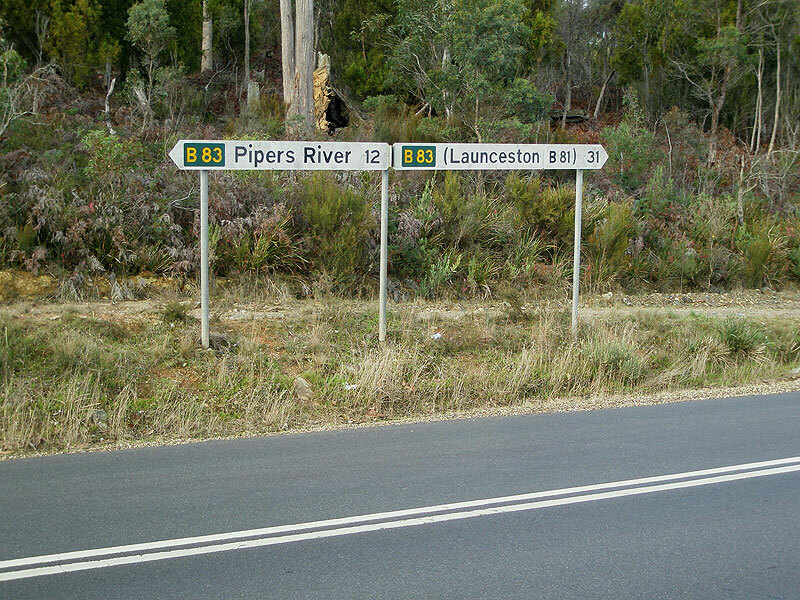 Fingerboard sign at the intersection of Pipers River Secondary Rd (B83) & The Glen Rd (C813), 12km south of Pipers River.